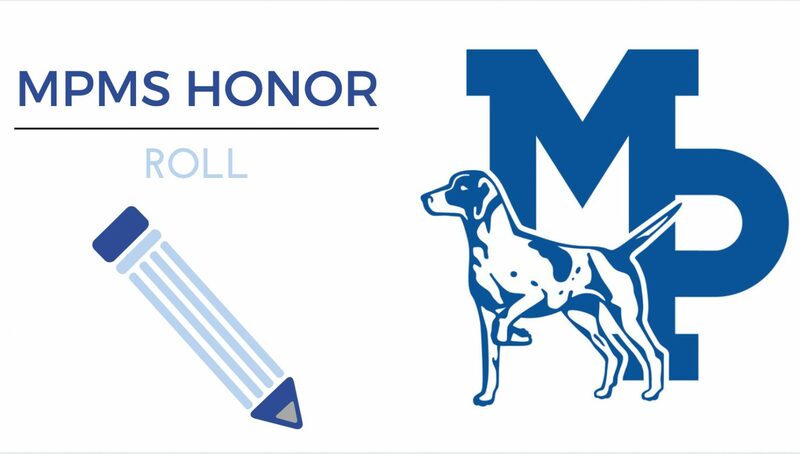 Mineral Point Middle School is proud to announce its 2nd Quarter Honor Roll for the 2017-18 school year. Sixth Grade: Malea Aschliman, Abigail Backes, Madigan Chitwood, Christina Collier, Elizabeth Dunn, Gracelyn Foster, Breanna Goninen, Derek Hottenstein, Estella James, Emma Knutson, Ellery Massey, Morgan Palzkill, Brady Radtke, Alex Ross, Regan Schuette, Landon Thousand, Bryce Vamstad, Abigail Webb, Eleanor Webb, James Webb. Seventh Grade: Genevieve Byrnes, Jenna Dailey, Alana DuBois, Emma Federman, Cole Ferrell, Maddix Jackson, Carson Kroll, Brody Lee, Abel Logueflower, Tyler Nordstrom, Tarrin Riley, Mackenzie Ripp, Joey Robinson, Kylie Rule, Sophia Stephenson, Regan Suddeth, Kennedy Wenger. Eighth Grade: Bryce Acherman, Hayden Bakken, Ella Chambers, Grace Engels, Tanner Goninen, Bo Hanson, Drew Hottenstein, Miles Houtakker, Estelle Janetka, Lexi Kinch, Mallory Lindsey, Ross Lindsey, Trapper Nafzger, Jade Nodolf, Callie Pierce, Bryn Pryce-Ingwell, Blake Radtke, Brett Roberts, Delaney Ross, Kennedy Smith, Emma Steffes, Malachi Strompolis-Salama, Jayda Sudmeier, Rylee Thompson, Kelsie Toay, Owen Ward, Kaylee Weber, Jared Wedig, Caleb Wersal, Hope Wilson. Sixth Grade: Shaine Bennett, Elin Bowers, Mac Busser, Charlie DaVee, Madisyn Heim, Hailey Jones, Morgan Lee, Ashton Martin, Addison Ryser, Belle Watters, Grace Wersal, McGinnity Yanna. Seventh Grade: Oliver Benson, Jackson Busch, Allison Chitwood, Katelyn Cox, Brock Ellingson, Jaiden Galle, Quenten Gunderson, Teona Hansen, William Jewell, John Lewis, Max Murphy, Cooper Palzkill, Olivia Poad, Ryan Schubert, William Schute, Lucas Sullivan, Olivia Wendhausen. Eighth Grade: Ashlie Baumgartner, Colbi Carey, Makenna Ferrell, Joah Filardo, Emily Graber, Ella Grunow, Haydn Marr, Ollie Mitchell, Faith Pilling, Ryan Reichling, Jadyn Thompson, Blair Watters, Kelsie Wilson.